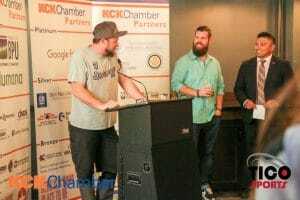 The KCK Chamber is a membership based organizations led by a volunteer board with up to 31 Members. The day-to-day work is handled by a paid staff of full-time employees. Staff works with a variety of committees made up of Members and the Board of Directors. The KCK Chamber is proud to be at the forefront of the community's success by enhancing and leveraging the talents and resources of its diverse members to sustain and catapult development opportunities throughout the metropolitan area. 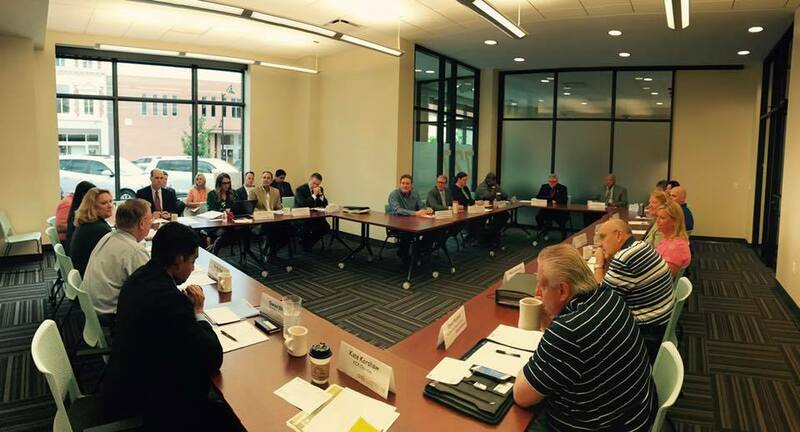 The Chamber is excited to serve as the convener and connector for local and regional businesses to collaborate on efforts that improve the economic vitality and quality of life for our diverse region. 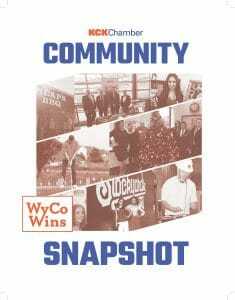 This in turn creates opportunities in KCK/WyCo, which build a quality community to live, work and conduct business. “As a member of the business community in the metropolitan area, the mission of the Kansas City Kansas Area Chamber of Commerce is to enhance and create opportunities in Wyandotte County which build a quality community to live, work and conduct business." In 1918, the Chamber purchased the former Elks Lodge at 727 Minnesota which had suffered heavy damage from a fire. The Chamber re-built the building and has been there ever since with the exception of the 1950’s after the opening of the Town House Hotel. The hotel was the first full service hotel built in downtown Kansas City, Kansas and part of its development agreement included the Chamber taking up residence as a tenant. The Chamber building has also been used as the home of the Community Chest, the forerunner of today’s United Way of Wyandotte County, the Kansas City Kansas Women’s Chamber of Commerce and its former annual Museum project to tell the history of Native Americans in Wyandotte County, the KCK Jaycees, Kaw Valley Arts & Humanities, Wyandotte Economic Development Council, and the Convention & Visitors Bureau. From its earliest inception the KCK Chamber as it is also known was involved in different business and community projects such as road projects like the Lewis & Clark viaduct, the former private Victory Hills Golf Course now known as Painted Hills, and even agreeing to help sell the needed subscriptions to start the Kansas City Kansas Kansan in the 1920s. It also oversaw a downtown retail merchants association for many years. The KCK Chamber was substantially involved in the war effort in both World War I and World War II. 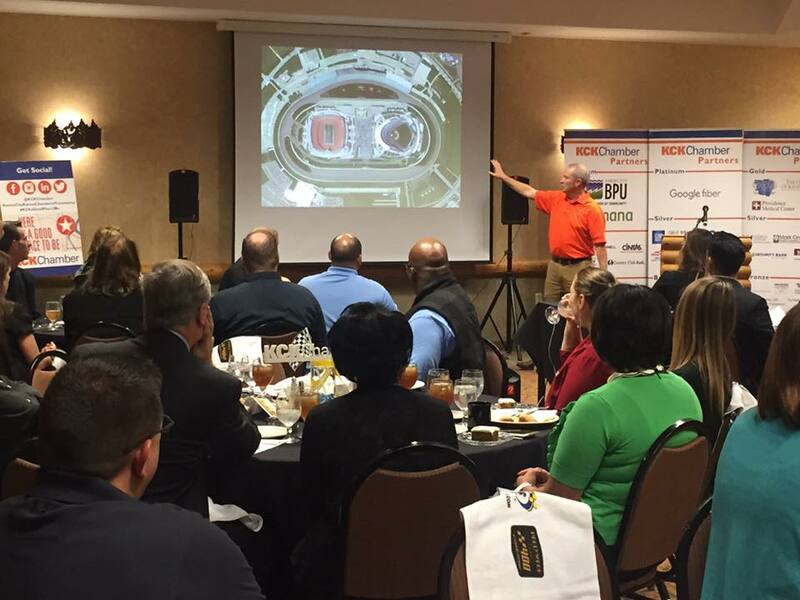 The KCK Chamber has been heavily involved in the changes of local government. This started in the early 1980’s with the change in city government from a three person commission to a Mayor/City Council form of government. Another change was completed in 1997 with the consolidation of the City/County government. The Chamber partnered with others to hold forums on unification, researched and published a study that among other recommendations discussed consolidation. When a grassroots effort moved forward to work on the vote, the KCK Chamber assisted in fundraising for the effort. In 2007, a Kansas City Kansas Chamber Foundation was established to assist in funding community and economic development activities in Wyandotte County.